Included 6 lessons on DVDs & CDs, 150 page Hardcover Book, & 200+ page Workbook. Bonus: PDF Workbook and Audio MP3 Downloads Included! A Beautiful and clear account of Genesis Chapters One through Eight and how these events effect us to this very day. 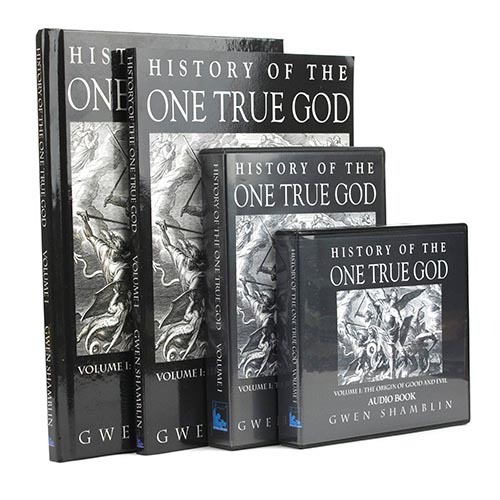 Hear the history of Lucifer's fall from Heaven, the creation of the world, Adam and Eve, Cain and Abel, and Noah from the perspective of the great love the Creator has always had for mankind and the great appreciation that is due Him in return.